Alison has always been passionate about communication and professional development, and as a leader has very much enjoyed inspiring and developing people in her teams to perform at their very best. Having been a well-known ‘go to’ person for luxury yacht crew career and personal guidance over the years, moving into professional coaching in 2009 was a natural evolution that brought Alison’s occupation into alignment with her core strengths and abilities. Born in Melbourne Australia, Alison gained a Bachelor of Arts in Literature and Philosophy, and originally trained in advertising as a copywriter before moving to Europe. Her life after yachting has included senior sales and marketing positions in both small start-up businesses and large international companies based on the French Riviera, including three years as Marketing Director for one of the top international yacht brokerage companies. 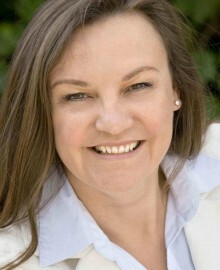 Alison graduated with a Distinction in Personal Performance Coaching from The Coaching Academy in 2011 and became a Talent Dynamics Flow Consultant in 2013. From her base in the South of France Alison is currently privately coaching many crew at all levels from juniors to department heads and Captains, and incorporates Talent Dynamics into both her private coaching and onboard crew development workshops aboard luxury yachts worldwide.